I’ve tried dozens of different things for antennas on micro armor. Some are too stiff and end up poking fingers, some are too soft and break off, some are too thick and look silly. I think I’ve found the perfect material. This is a wire for stringing beads, it’s a very thin steel 7 strand wire that is coated with a very thin plastic coating on the outside. The overall diameter is .012″ inches, it’s stiff yet flexible and will not break. A 75′ (23 meter) roll should last a lifetime. This stuff is tough enough that I can pick up my vehicles by the antenna without worry. I picked mine up at the local Michaels arts and craft store. Here is a photo with all the info you will need, including one of those cool scan codes that you can scan with your mobile phone if you have the groovy app. 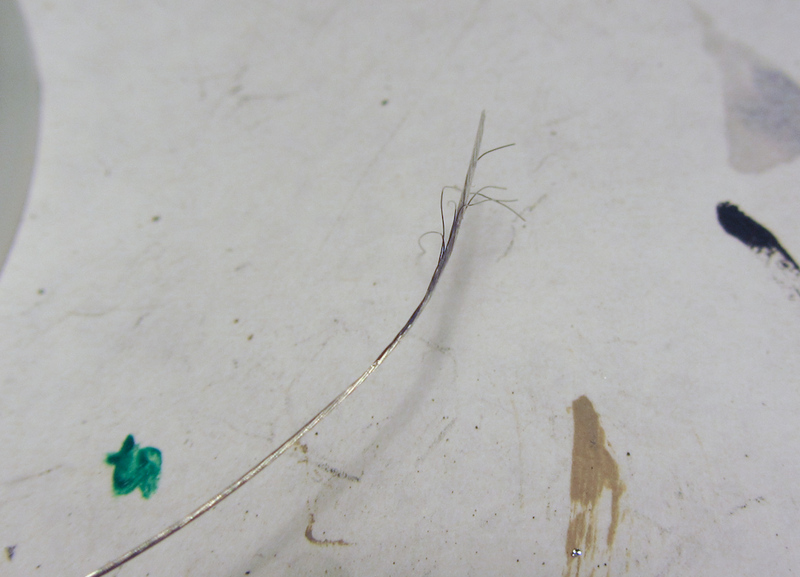 Here is what the wire looks like if you strip off some of the plastic coating. This entry was posted in Tips, Tricks and Techniques and tagged Antenna by Allen. Bookmark the permalink. I have also found that some hair brushes can be bought cheap and provide great vehicular whip antenna material. That’s a good idea E5H. I never thought of that. My recommendation is to use tooth brush bristles cut to the desired length, Then dye/ink them the color you like, Black in my case. I have 50-100 complete at a time ready to use whenever needed or desired. They are straight, yet will not hurt any one. 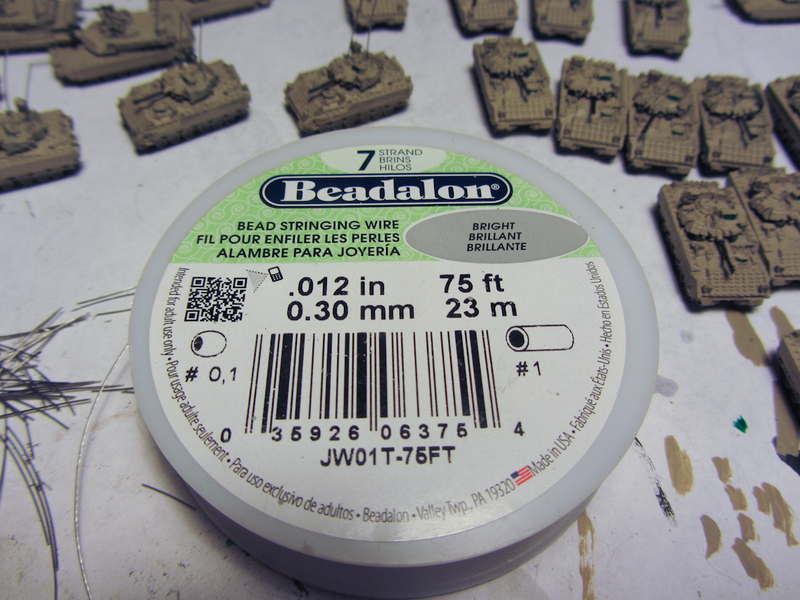 Can pick up a figure with them if needed to do so, the glue determines that. I am able to tilt them forward, straight up or backwards as US military vehicles tilt there antenneas. I have tried and used a few other applications, I have determined that the tooth brush brisitles work best for me. Other considerations are hair brush bristles, wire, cat hair paint brush bristles, and human hair. I have started using human hair from my wife’s hair brush as barb/razor wire. Coil it on a vehicle, look good.